Massage - this is one of the easiest ways to simultaneously relax and heal the body. Our specialists provide massages that improve body tone and have a positive effect on overall health and mood. The massage session improves not only the physical performance. You will feel lightness and relax in a pleasant cabin atmosphere of our beauty salon. After the procedure, carried out by our experienced master, you'll feel energized and cheerful. Figure correction is an opportunity to shape and make your figure slimmer without exhausting diets and sports activities. Figure correction in our beauty salon will help you achieve the perfect body of your dream. At the GENESIS BEAUTÉ we’ll help you to achieve the perfect figure in shortest time. We use innovative technologies and methods of figure correction. Those procedures quickly and effectively make your body to get rid of cellulite, stretch marks and excess of fat. Also, figure correction will help you to improve the health condition and the overall tone of the body. 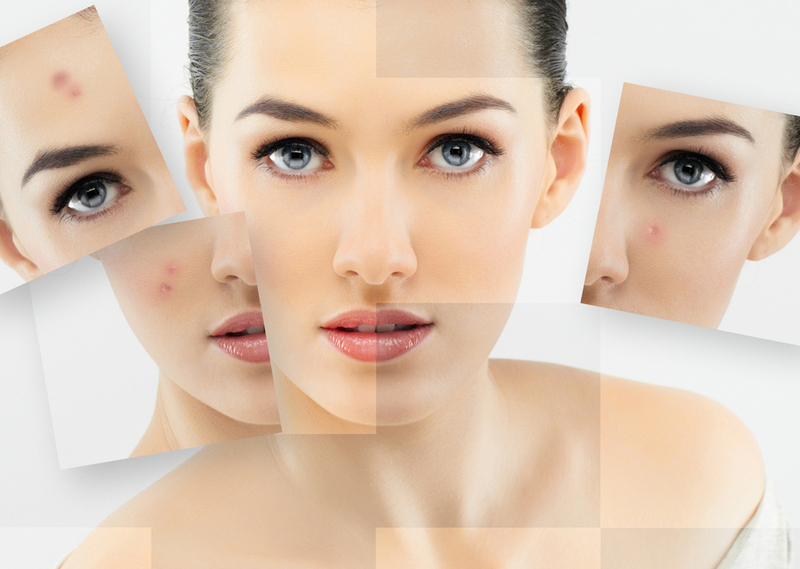 Facial care – it’s a daily work that allows you to keep your skin full of youth and health. 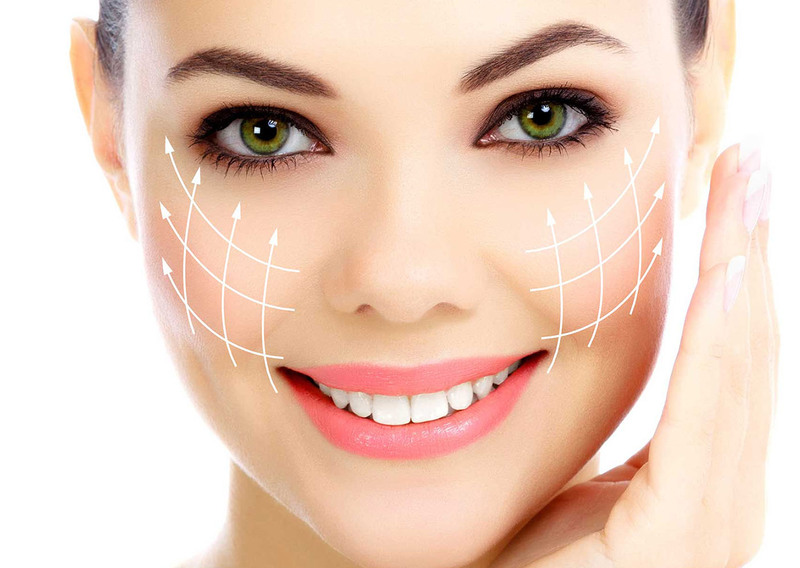 The correctly chosen facial care and treatments will help you to avoid skin turgor loss, various capillary formations, dimness and many other esthetical problems. At the GENESIS BEAUTÉ we’ll make your skin young and elastic, without any visible aesthetic defects. You will get a long-term consistent results. We achieve it by using a combination of effective methods of classical and innovative cosmetology with modern lines of professional devices, cosmetics and cosmeceuticals. Permanent make-up is a method of color correction of lips, eyebrows and upper eyelid by injecting pigments into the skin. This allows you to create a beautiful contour of eyebrows, eyes and lips, which will emphasize the dignities of your face. The GENESIS BEAUTÉ beauty salon uses Swiss Color OS pigments for permanent make-up procedures. Series OS does not contain iron oxide, making it hypoallergenic and completely safe for the health. 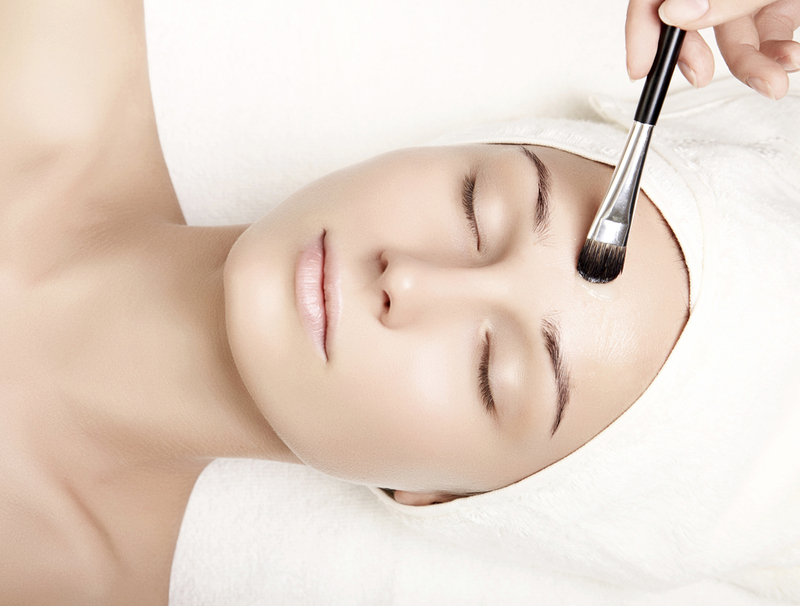 The permanent make-up, performed by GENESIS BEAUTÉ’s specialists, has bright and rich colors. It will be so for a long time, and its appeal will please you. 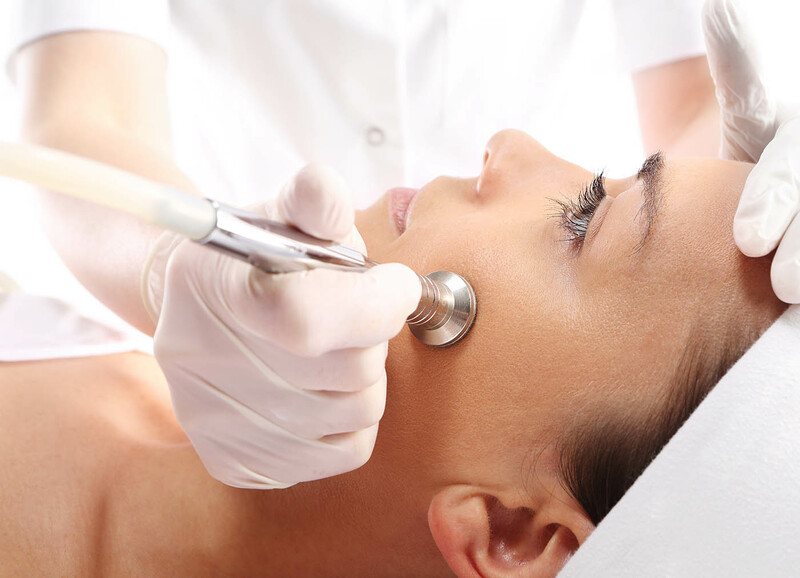 Microdermabrasion is a procedure of delicate skin abrasion to refresh it, remove dead cells of the epidermis and restore the elasticity and youth of your skin. The fast pace of life, heels or uncomfortable shoes have a constant load on your legs and especially on foot. At the GENESIS BEAUTÉ beauty salon we understand the importance of high-quality foot care. Pedicure is an essential procedure for foot care. Our masters are glad to offer you a classic pedicure and a hardware pedicure procedures with various types of gel nail polishes. We offer color and French type of gel nail polishes. Foot care at our beauty salon includes nail shaping, cuticle treatment and, removal of keratinized layer of the foot skin and a light foot massage. Hands can be compared with a business card, so taking care for hands is as important as facial treatments. By grooming level of your hands and well-manicured nails people often can judge about your social status, age, field of activities and other information about person. The process of hand care in our beauty salon can be also considered a relaxing procedure. The GENESIS BEAUTÉ beauty salon offers a variety of hands care programs. In addition to classical and hardware manicure with various types of nail polishes or the "French" polish covering. 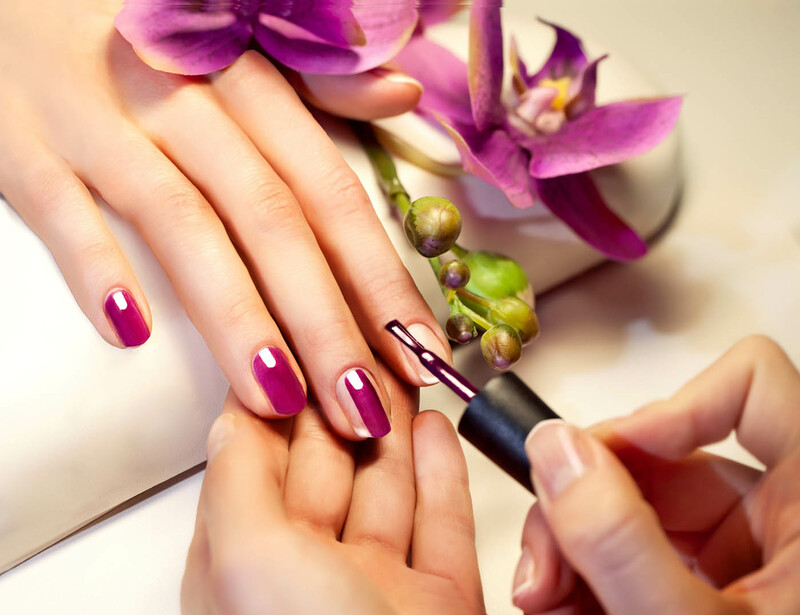 Also we offer an express manicure with different kinds of varnish. 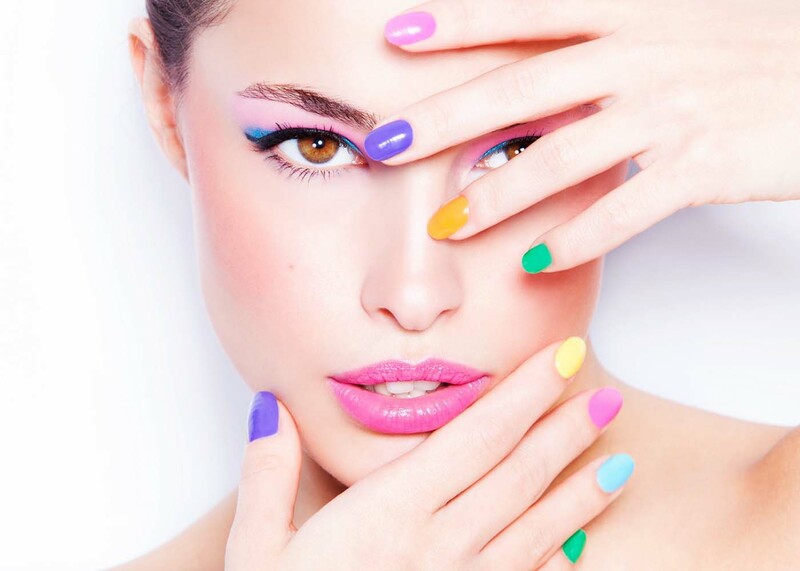 In addition, we can offer you the nail extensions. Hands care treatments are popular now not only among women, but also among men. Well-groomed hands are an indispensable attribute of the social status of any modern man. Waxing and sugaring are two ancient way of getting rid of unwanted hair on the face and body. IPL epilation by Afluence is an effective method of getting rid of unwanted hair on the face and body forever. Most of our visitors said that the procedure allows to remove hair forever in areas where the IPL epilation by Afluence was done. In the GENESIS BEAUTÉ beauty salon we use the newest E-max Sinopton device. It combines two types of effect on the hair follicles: IPL (light flashes) and RF (radio wave or electromagnetic radiation). E-max technology destroys unwanted hair structure and follicles with the high-energy light pulse and amperage. Such a combination is high efficient: the IPL epilation by Afluence gives long-lasting hair removal results. The Californian massage is an effective way to intensify the work of all the body systems, that increases vitality and improves immunity. The Californian massage has a positive impact on health condition and helps the body cope with stress. The Californian massage helps to get rid of physical fatigue. This is an effective method of relaxation and a comprehensive rehabilitation of the body at the same time. The Californian massage also makes you forget about stress and bad mood: it also harmonizes the mind and body. This kind of massage stimulates the metabolism and helps to remove toxins from your body. The Californian massage increases muscle tone, which positively affects the appearance and health. It also improves the overall physical condition of your body. Stone therapy is a special massage technique with warm stones, which came to us from the East. This type of massage is very popular for over 4000 years. The first mention of stone therapy massage was found in ancient Chinese manuscripts. For the massage with the warm stone at the GENESIS BEAUTÉ beauty salon we use basalt – a volcanic rock stones. The massage is performed only with those stones that have been polished by wind and water in a natural way. They have a special energetics, which is transmitted to visitors of our salon through the massage procedure. Pressure therapy is an effective method of body correction, using pneumatic drainage or barocompression. This procedure helps to cope with a variety of problems: removing fat excesses on problem areas, eliminates sagging skin, chronic fatigue syndrome, stimulates the immune system. This procedure is also an excellent prevention of blood clots. Pressure therapy will help you to lose weight quickly, to get rid of cellulite, to activate the metabolic processes in your body. This procedure is useful for people with a sedentary lifestyle and irregular diet. One pressure therapy session is comparable to the 2 active fitness classes. 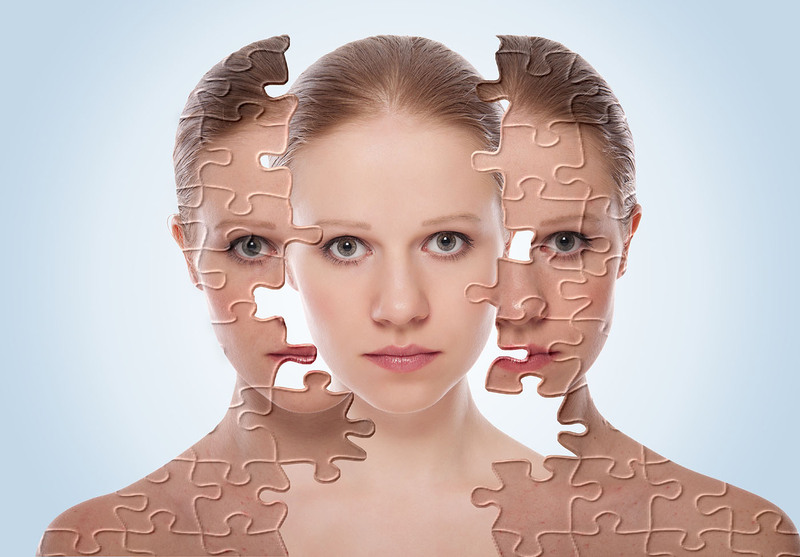 RF-therapy is an innovative non-surgical method of body rejuvenation. After this procedure, you will feel a burst of energy, increased body tone and improved skin condition. The Sinopton RF device by Affluence generates special RF-radiation, which improves skin tone and tightens it. Due to the effect of Sinopton RF, in the deep layers of the dermis actively produces collagen and activates metabolism. 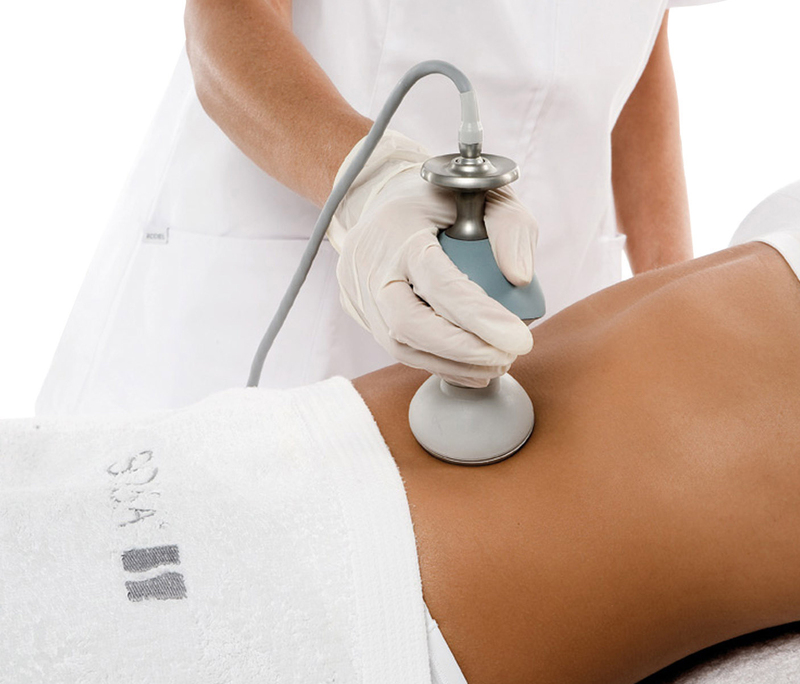 The LPG lipo massage has a complex effect on the body, eliminating the saggy skin and excess fat. At the GENESIS BEAUTÉ beauty salon we use Cellu M6 LPG device for LPG lipo massage procedures. It stimulates the process of lipolysis - effective fat destruction. LPG-lipo massage is fighting with uneven skin texture and the effect of "orange peel". Also, this type of figure correction helps to cope with post-traumatic tissue changes: scars, burn marks and many others. Cellu M6 LPG, among other things, helps to recover after plastic surgery. Eyebrows and eyelashes coloring and extension make your eyes look irresistible. We help to select each visitor an individual length and color of the extension or coloring materials, depending on skin tone and personal preferences of our visitors. Eyebrows and eyelashes, done by our specialists, look very natural because of using modern materials and techniques. 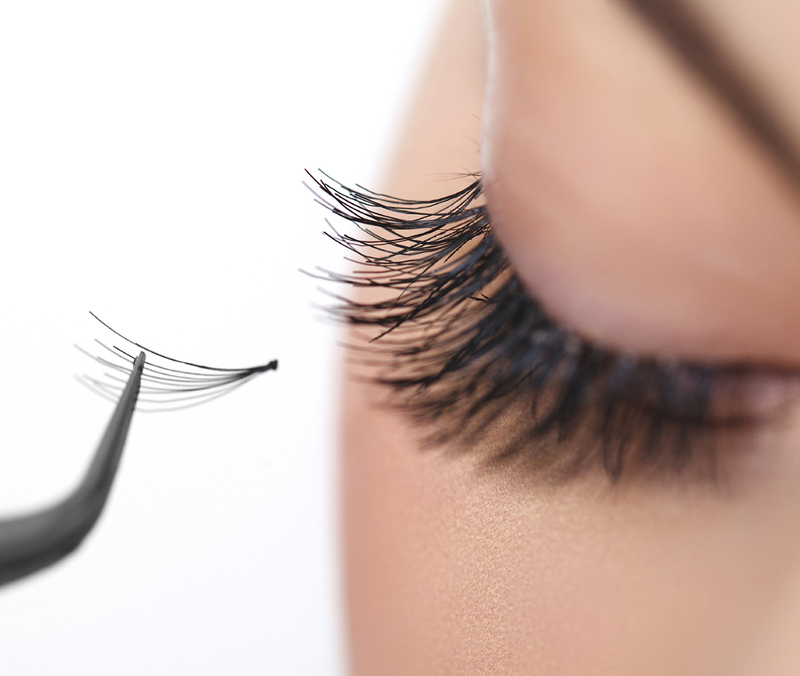 At the GENESIS BEAUTÉ beauty salon we use the best quality silk materials by LASH CREATIONS for eyelashes and eyebrows extensions. It looks impressive and very natural at the same time. All these procedures are completely harmless for your own eyelashes and eyebrows. The procedure of photorejuvenation at beauty salon GENESIS BEAUTÉ combines two methods for greater efficiency: IPL and RF-radiation. This set of procedures is the most popular combination for a non-surgical skin rejuvenation. The GENESIS BEAUTÉ’s specialists recommend it for resurfacing skin tightening, improving skin condition, removing age spots, scars and any other skin imperfections. This procedure will really transform you. 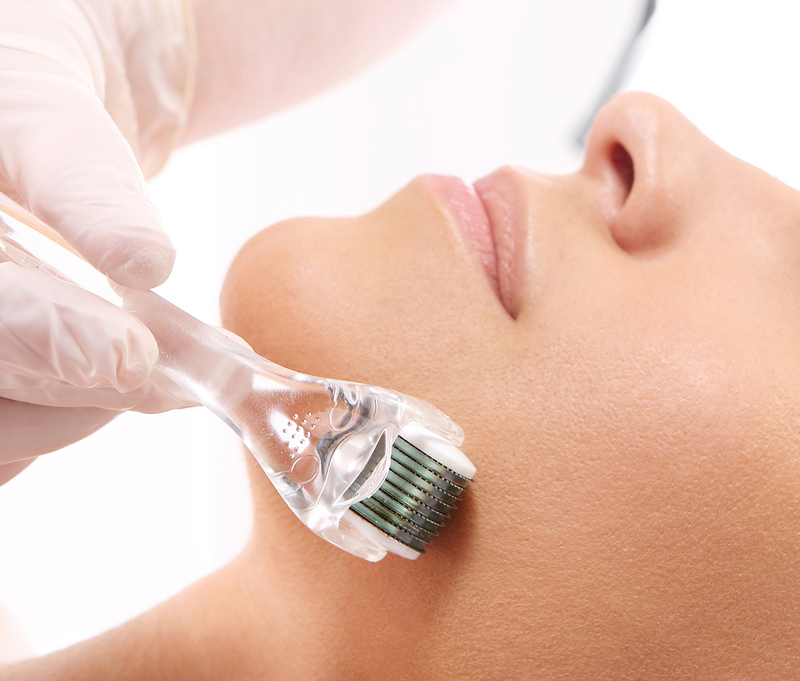 RF-lifting is a revolutionary method of non-surgical rejuvenation and tightening the skin of face and body. The Sinopton RF device by Afluance is using RMI radiation that increases skin turgor, lifting it in a natural way. 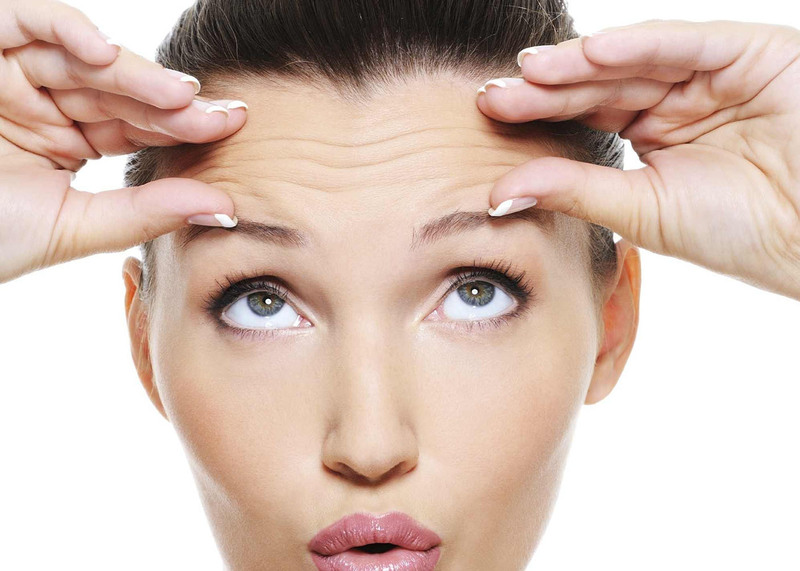 The skin begins to actively produce collagen. Also this device activates metabolic processes in the deep dermis. The result of RF-lifting is visible immediately after the procedure and lasts for another six months. All this time, the skin constantly produces new collagen and elastin fibers, which preserves its youth, tightness and healthy look. Dermatude meta therapy is a hardware stimulation of natural regeneration systems of the skin. The procedure of Dermatude meta therapy runs the natural production of collagen and elastin in the deep dermis, restoring turgor and makes your skin more aesthetically attractive. The Dermatude meta therapy starts the process of transformation and the returning of youth to your skin, improving the general skin condition. Depending on the skin condition and the desired effect, our estheticians offers different acid concentrations in the selected peel. We work with 10%, 15% and 25% acid solutions. For a more marked and prolonged effect, we recommend a course of several acid peels. 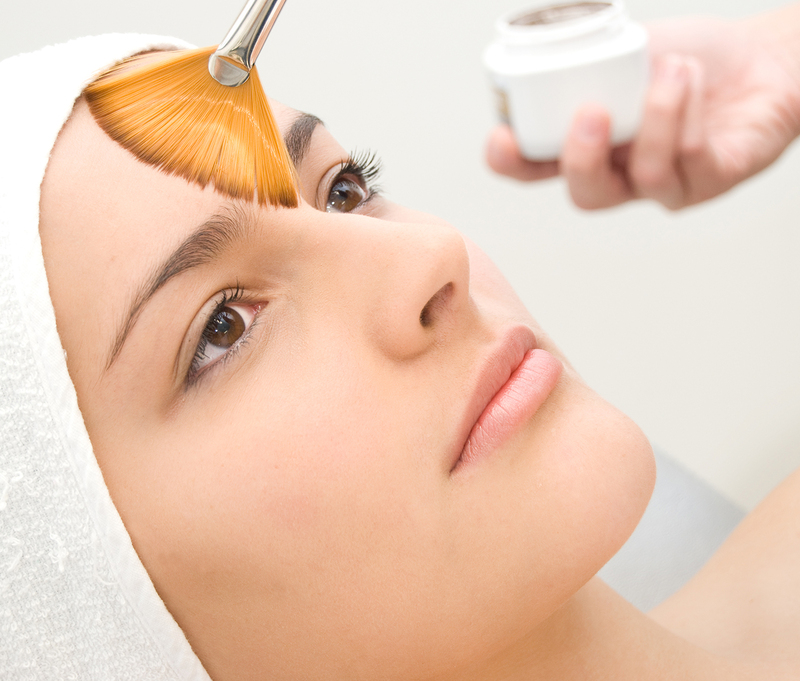 Lift M6 is an excellent method of non-surgical facelift which improve skin elasticity and reduces wrinkles. For the LPG lifting massage is used LPG SYSTEMS Lift M6 device. It carries out a three-dimensional stimulation of the face, neck and décolleté skin. This device reduces the amount of subcutaneous fat, increases the synthesis of collagen and elastin in the deep dermis. It starts natural skin renewal. Efficiency of Lift M6 is clinically proven. Regular and high qualitative facial cleansing is the guarantee of healthy and beautiful skin. Nowadays both women and men do various kinds of hair removal. We have considered this trend and offer hair removal programs for everyone. In our beauty salon we use classic, time-tested methods of hair removal, and modern technologies, which are totally painless and removes unwanted hair for good. 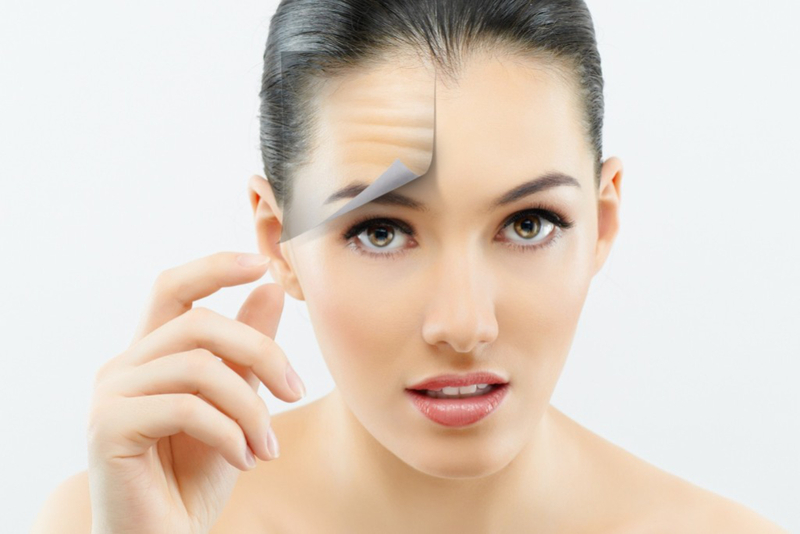 Roller mesotherapy is a method of injecting vitamin cocktails and active agents right into the skin to improve its condition and prolong youth. The beauty salon GENESIS BEAUTÉ use the method of roller mesotherapy with dermaroller with 0.15 mm needles. 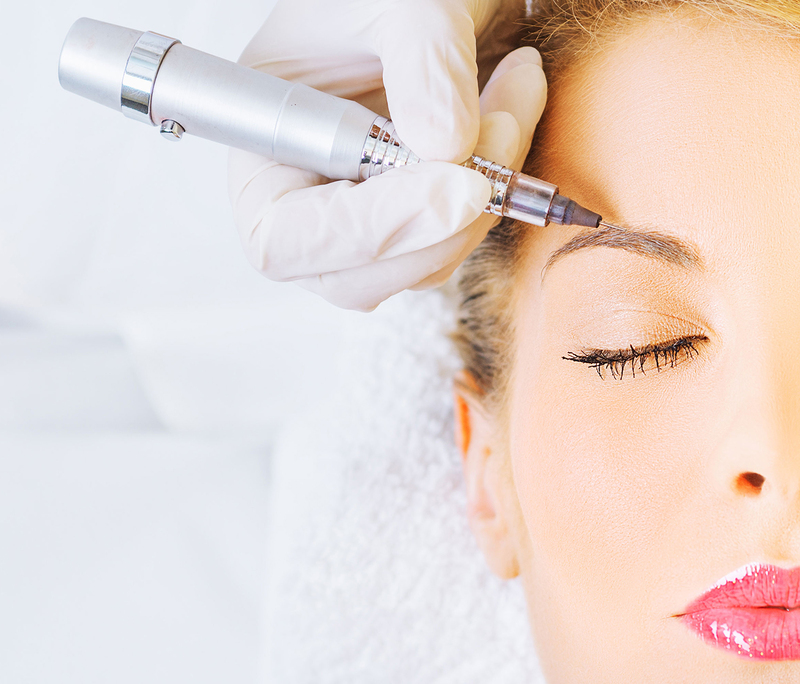 Dermaroller runs the natural processes of regeneration by damaging the upper layer of the dermis with deep injection of vitamin cocktails right into the skin. This type of mesotherapy successfully fights the fine wrinkles, dry and saggy skin, dimness and many other skin imperfections.